Kaneez Surka is an improviser, comedy actor, sketch artist and stand-up comedian. She is India’s first female improviser and has been associated with The Improvisers collective since 2009, along with comedians Abish Mathew, Kanan Gill and Kenny Sebastian. She’s been invited to four international Improv Festivals, ones in Amsterdam, Berlin, Seattle and Toronto. Currently, she hosts a game-show called The General Fun Game Show, which has featured popular comics Kanan Gill, Biswa Kalyan Rath, Tanmay Bhat, Rohan Joshi, Abish Mathew, Zakir Khan and several others. 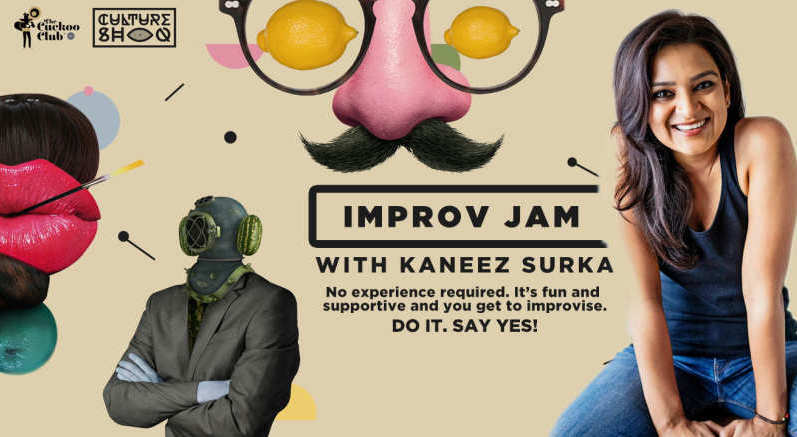 In 2014,Kaneez began conducting improv workshops all around the country, expanding the improv scene in India. She is also a part of the popular TV segment The Week That Wasn’t with Cyrus Broacha on CNN IBN.